January is a hard month for multiple reasons—it’s cold, dreary, there is not a lot to look forward to, and the holidays are over. 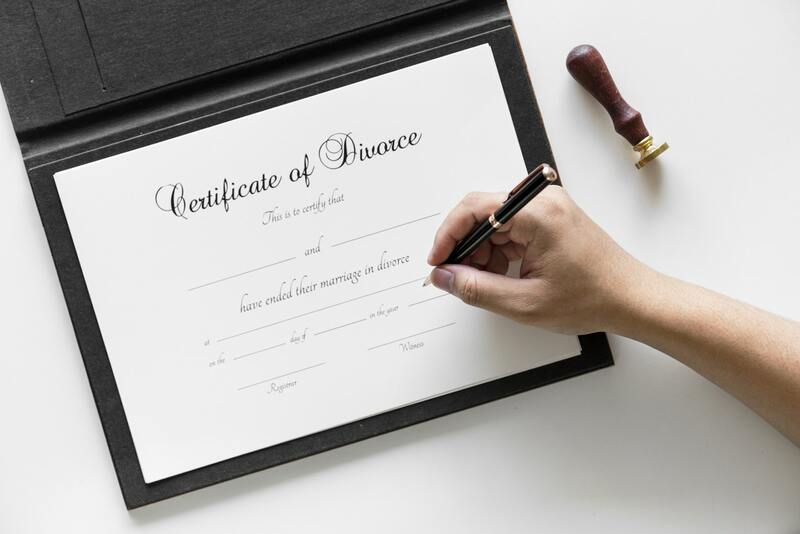 January is also known unofficially as “divorce month”—the month where more divorces are filed than any other month of the year. The first Monday after New Year’s Day sees a significant hike in divorce filings. For some couples, they stay together for the holidays to create one last “normal” Christmas. Oftentimes this is done for the sake of the children and/or extended family. Sometimes it is because the couple wanted to give it one last push at the end of the year to see if things could be fixed. Also, since the New Year is associated with new beginnings and resolutions, some people make a decision to start the year with a fresh change. Sometimes the holidays can create false hope and a high. There is something exciting and magical about spending Christmas together as a family. Then, reality starts to sink in once the presents are open and the Christmas decorations are put away. All of the above-mentioned reasons contribute to why divorce filings jump by 33% in January. Parents often maintain a “status quo” and wait until holidays over to file for divorce because they think it will be better for the family, especially the children. While it’s not ideal to be going through a divorce during the holidays, in my experience, the timing does not seem to have a tremendous impact. The only negative impact I’ve ever witnessed are older children who feel angry because they believe their parents “faked” their way through the holidays in order to get to the New Year. Children who are the product of divorce tend to struggle more than the average child. According to the Institute of Family Studies (IFS), divorce doubles to triples the odds that children will experience depression, school failure, behavior issues, and future difficulties with relationships. There are also higher instances of teen births among children of divorce (33%). So before you file, take into consideration the impact this may have on your children. Do you have the resources to help them? Can you and your ex co-parent successfully to ensure that your children have their needs met? Will your children be the priority through the divorce? Filing for divorce after the holidays is super stressful. Like I mentioned before, January is a tough month. It is cold, gray, and dreary. For many of us, Seasonal Affective Disorder is in full swing. There is very little hope, and a long winter to survive. In January, we are also coming off the stress of being around family and feeling overwhelmed by the busyness of the holidays. Will you feel better once you are back in your routine? Do you need some time to readjust back to normal life? Will you and your spouse be better? January is also difficult because of the financial strain. Are you and your partner arguing more about money due to holiday spending? According to CNBC, the average household racked up over $1,000 in debt in 2018 from holiday spending. This obviously puts a huge strain on any household, but especially one that already feels stressed. Will you feel more secure about your marriage in a few months? There are a few things I want you to consider before you file for divorce. Have you both sought out professional help? And if so, have you both invested everything you have into making the marriage better? Don’t let therapy just be a checkbox, but rather take and apply the tools you both learn, and see if things improve. If the first therapist you try isn’t a great fit, try another one. This is the rest of your life we are talking about. Have you reconnected recently as a couple? What I mean by this is, have you taken a trip, just the two of you, to see if there is anything left to salvage? Have you spent quality time together dating? Can you remember why you first fell in love with your partner? See if you can laugh together and rebuild a friendship. Is this an impulsive decision, or one that has been carefully thought out? How long have you considered leaving your partner? Have you considered this: what does your future look like? Take time to deliberate on the impact a divorce filing will have on every aspect of your life. Are you ready to handle the next steps as a single person? Something I say to all of my clients considering divorce is this: Can you look at yourself in the mirror, and tell yourself that have you tried absolutely everything? If the answer is no, you still have work to do. Make sure that you have no regrets, and that you have thought through every possible scenario. If there is something you’ve not tried, you need to try it. You can’t stop trying until there is no stone left unturned. Divorce is hard on everyone, including you, your children, friends, and your extended family. Before you make the decision to file, make sure that you are taking into consideration all the many ways this will change things. You may lose friends. You may have to switch jobs, or add a second job, or even start working again. There is a lot of ambiguous loss and uncertainty. This is definitely not a decision to be taken lightly. If you are struggling with making a decision to stay or go, please reach out for help. A professional can help you weigh the pros and cons in a safe, supportive, unbiased environment.